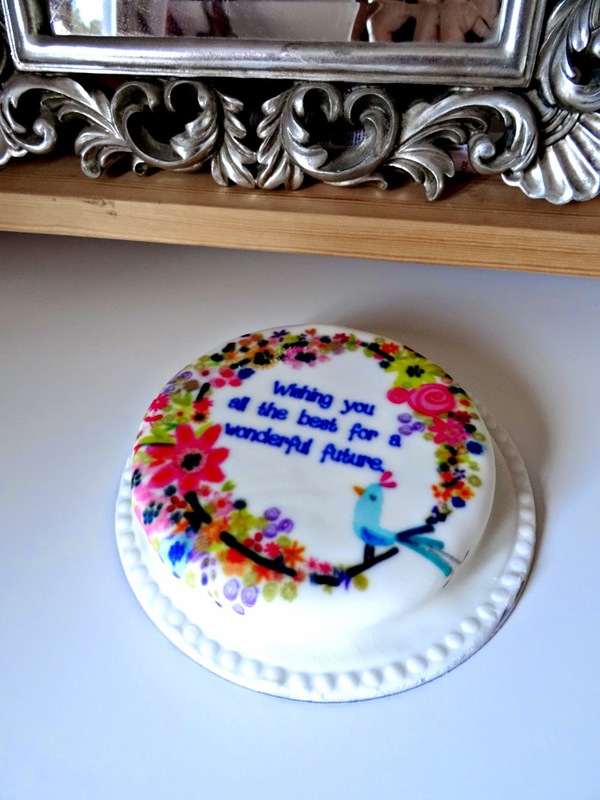 To celebrate my first month of Style Lingua and the start into a new bright blogging future, Baker Days kindly sent me one of their letterbox cakes*. 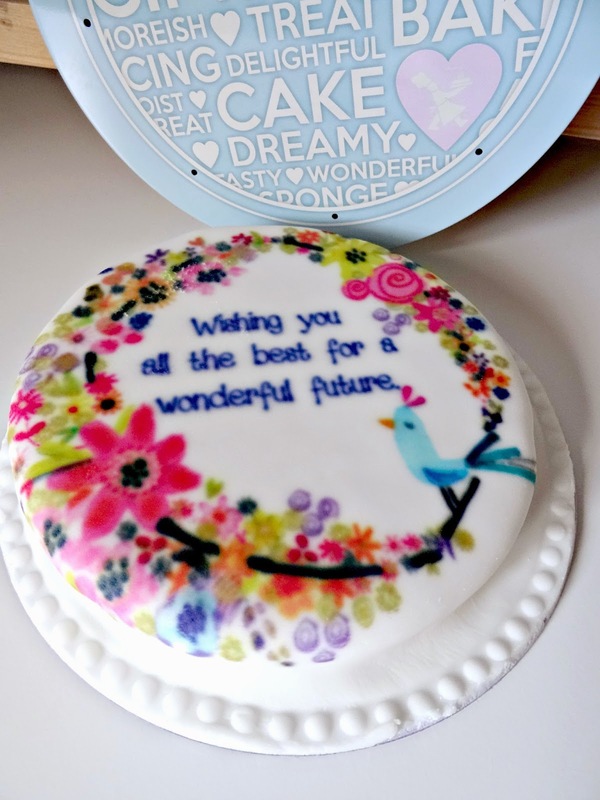 From a wide collection of different designs for various occasions, I decided for the Little Birdie cake with the customised message Wishing you all the best for a wonderful future as I found the classy design would best match the purpose of my re-branding. On Baker Day's website, you can chose the celebration occasion (e.g. 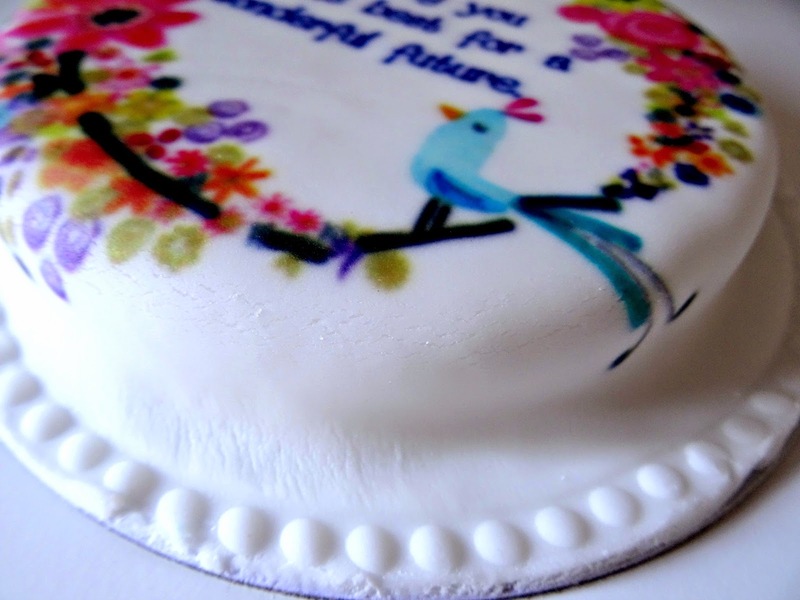 birthday, wedding, anniversary) and select from a diverse range of designs or create your own. Next, you'll choose the dough. 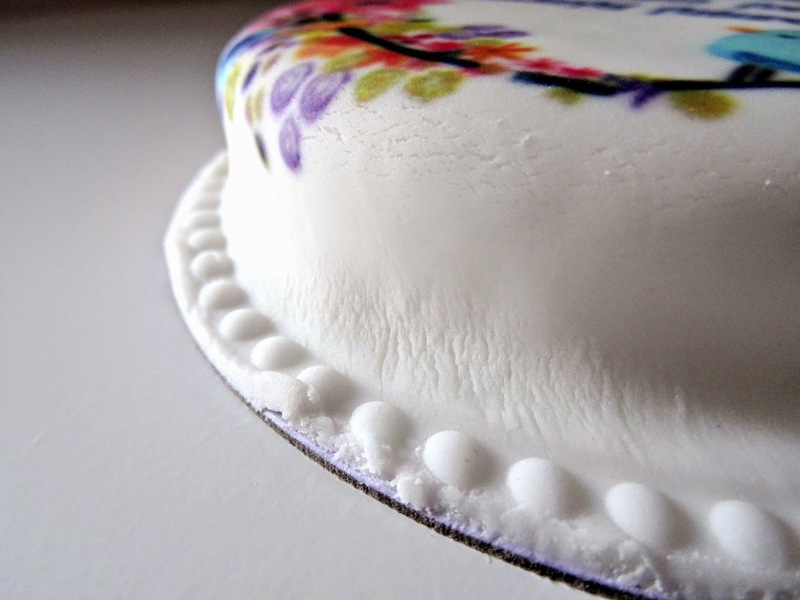 Baker Days offer their cakes with a vanilla sponge or chocolate chip sponge with Belgian chocolate. There's also the option to go for a fruit cake or have it gluten wheat or dairy free. 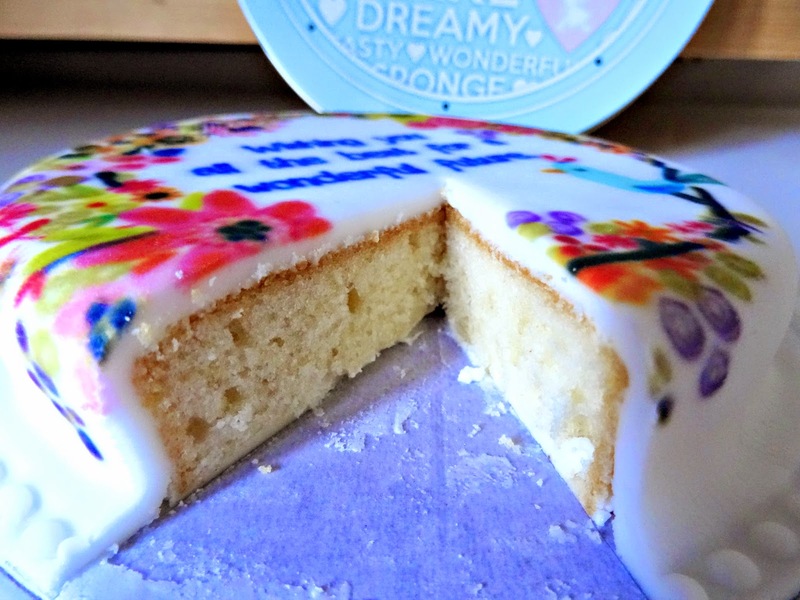 I decided for the vanilla sponge as I love a soft fluffy cake with a hint of sweet vanilla. My letterbox cake arrived whilst I've been to London. 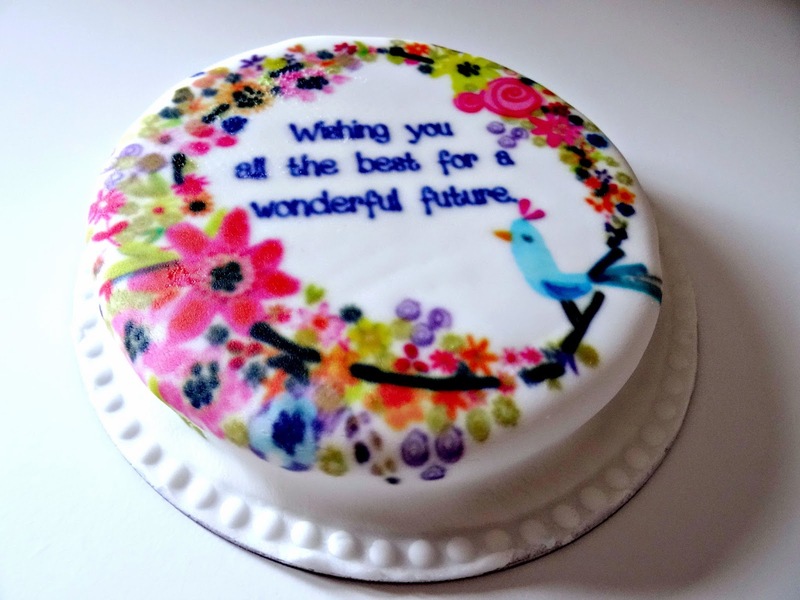 I worried it wouldn't be fresh anymore upon my arrival back home but thanks to an air tight packaging and a beautiful tin box, the cake tasted as fresh as if it was just made. Now over to you! This wouldn't be a birthday post if I wouldn't share the cake with you. 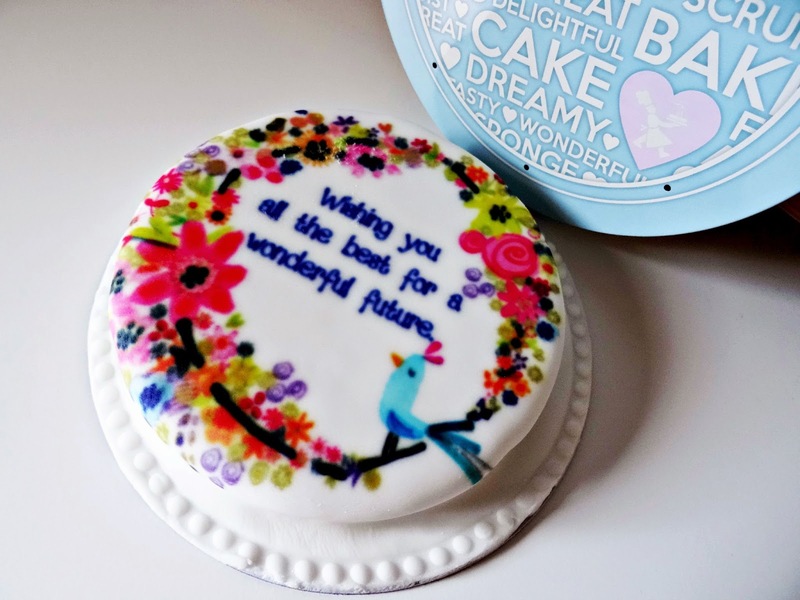 So I'm very delighted to team up with Baker Days for a giveaway and offer you the chance to win a letterbox cake. Simply take part through the Rafflecopter widget and I'll choose a winner next Friday, 29th May. Good luck and fingers crossed. - The giveaway is open to UK residents only and will run from 22/05/2015 till 29/05/2015 12 am. - Multiple accounts, as well as accounts I feel, have been created on purpose for this competition will be disqualified. - Once the giveaway is over, Rafflecopter will choose one winner which I will then announce via Twitter. The winner will be contacted via email. - An email is sent to the winner who will then have 48 hours to reply before a new winner is chosen. Thank you so much for reading today's post and I hope you've enjoyed it. Good luck everyone and finger's crossed.